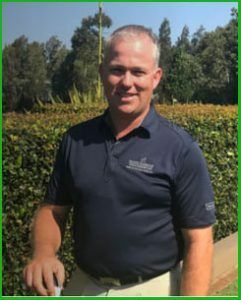 As a PGA Golf Professional with over 20 years coaching experience in Australia and Switzerland, Beckett has won 12 PGA Golf tournaments and has the coaching abilities to know what a golf player needs through the use of high speed cameras, asking what the golfer would like to achieve and having a defined plan. Beckett has run successful golf tours and intensive schools for golfers in countries such as Scotland, Germany, Austria, Spain, Portugal, Italy, Switzerland and Australia. Beckett is the co-founder of the Key to Golf online learning program with Peter Croker and believes anybody can play great golf when they truly understand what to do and how to train.